A light on the outdoors! 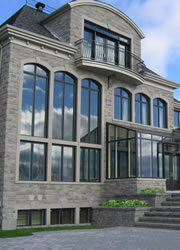 These high-level windows exceed every point of comparison with the competition and are manufactured to the required sizes. Available with a 4” or 6” metal box, a 7 1/4¨ wood box with interior and exterior extruded cladding, or a 9 1/4¨ wood box with interior aluminum or vinyl cladding and exterior extruded cladding. 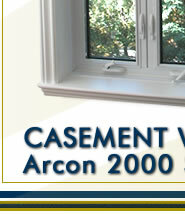 All the Arcon 2000 window components are completely made of extruded aluminum and each is equipped with thermal breaks. The narrow extruded frame profiles increase visibility and the luminous flux. 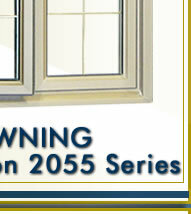 Optionally, the panel can be secured in the 2000 Series window or made operable in the 2000 and 2055 Series window. Authentic cross beams can be added to these glass panels to create or complement a new decor by providing a very refined touch. The exclusive extrusions are knurled. This operation consists of fastening the thermal breaks in the extruded profiles by moving a striated cylindrical component that is activated by a moving mechanism.  Knurling is followed by the compression of the thermal breaks using a crimper (a machine tool exclusive to Arcon Portes et Fenêtres). 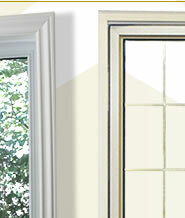 The fastened and compressed thermal breaks offer a unique and incomparable seal against water and air infiltration. 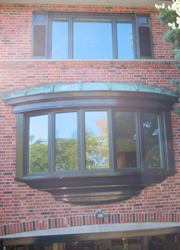 The addition of multiple weatherstripping validates the superiority of these windows. The aluminum structure is presented in a choice of standard colours, white for the interior and white, commercial brown and light bronze for the exterior (all Gentek colours are available on request). To harmonize the interior design and the exterior finish, a combination of two different colours is offered. All the colours are available in a weather-resistant Duracron finish. 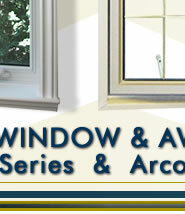 The Arcon 2000 window also stands out from the competition by the use of glazing beads that hold the thermal panes in the channels. 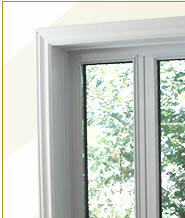 Use of these removable mouldings greatly speeds up replacement of a thermal pane. 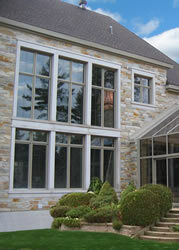 Several choices of glass are available. 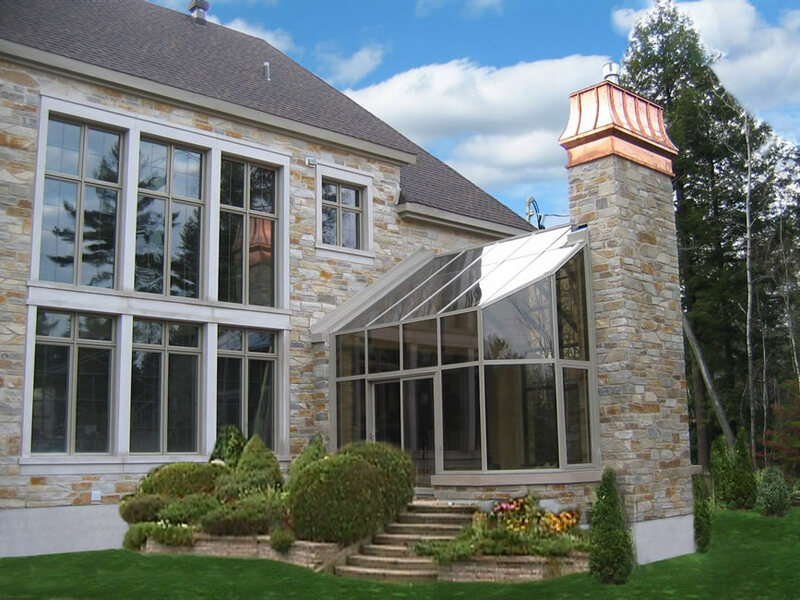 Double or triple, tinted and energy efficient glass with Argon gas are used to ensure greater comfort. For harmonization purposes, grids can be integrated between the glass panels. 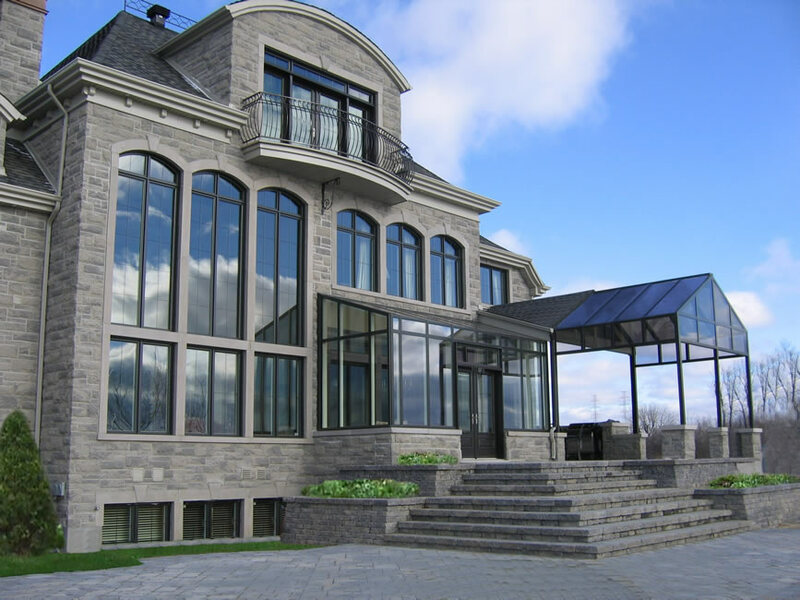 Unlike walls, glass allows solar energy to enter the home, thus ensuring a free energy source in winter, which compensates for the heat loss through a window. 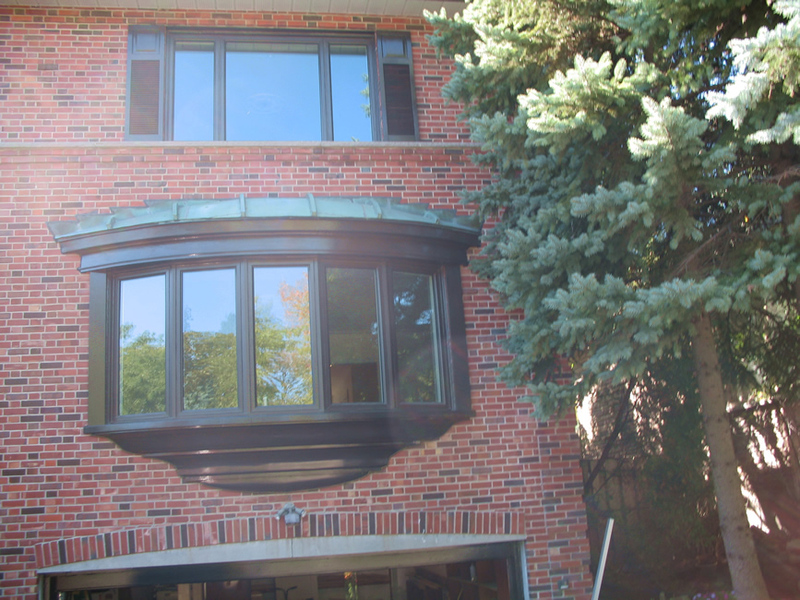 Another component of casement and awning windows is a screen installed inside in an aluminum frame exclusive to Arcon Portes et Fenêtres. This nylon or aluminum webbing, based on the customer’s preference, is full size and removable. 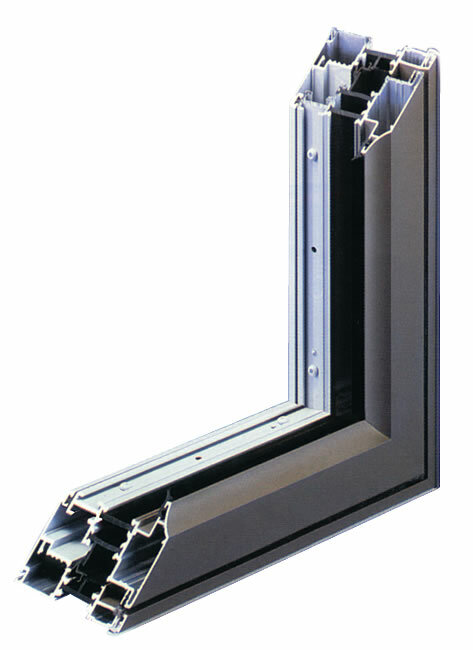 Highly secure, the Arcon 2000 windows have a metal rod locking device, in accordance with the multi- lock system, with a standard or folding crank. 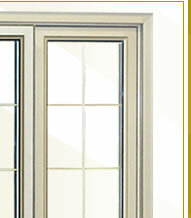 The locks, opening and closing mechanisms and cranks are coordinated with the window’s interior colour. 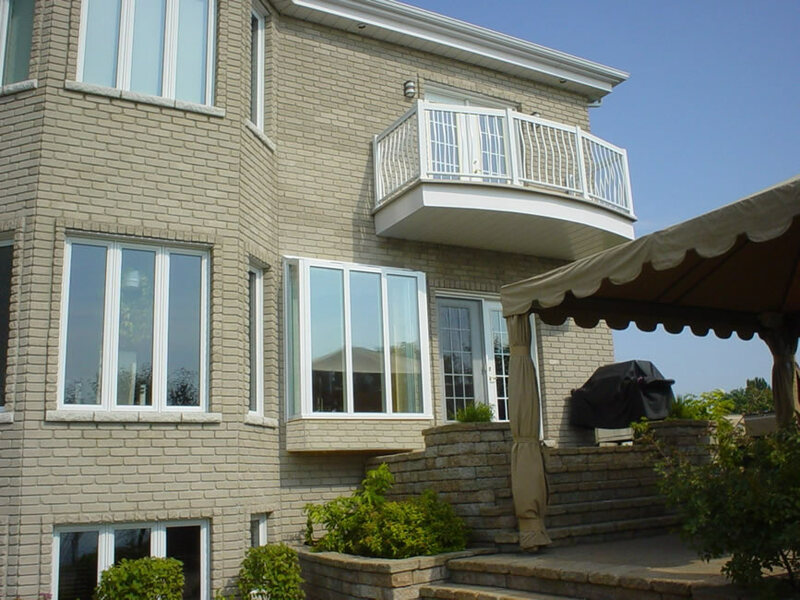 When it is time to buy or replace windows, choosing a Arcon 2000 casement window or a Arcon 2055 awning window is undoubtedly the best investment. 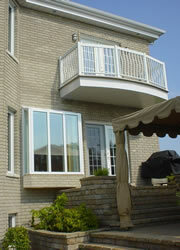 A written warranty ensures that Arcon Portes et Fenêtres is liable for the outstanding quality of these products.